When you first start up FIFA 19 you’ll be given a starter pack to begin your Ultimate Team journey. It’ll be enough to fill up your starting 11, but not nearly enough (if any) of the players you need to build a powerful team. 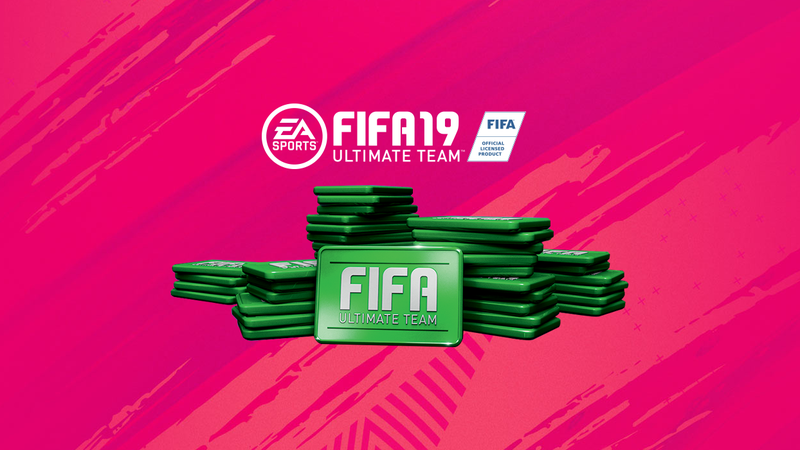 After that, you have two options: you can start playing game after game of Ultimate Team challenges and slowly grind your way to earn halfway decent players, or you can simply buy some FIFA points while they’re on sale in our webstore. Do points transfer from FIFA 18 to 19? Yes, they do, but only until December 31, 2018! After you purchase the full version of FIFA 19, when you log in for first time you’ll see a notification that shows you how to transfer your points. It’s that easy. Just keep in mind that you can only transfer FIFA points on the same console or PC– you can’t send them to you friend’s Xbox. And, once you’ve gone ahead with the transfer, that it, it’s not reversible. To get your points, simply choose from one of the many amount options available on our webstore. We’ll link then in the section below. Upon purchase, you’ll get a code which you can cash in on your console or PC. Nothing more to do after that; you’re ready to go! What points options are available? Save yourself a lot of time and a lot of aggravation by picking up some FIFA points today. Get all the packs you need, and the best players to build your squad when the game launches on September 28th. And will you be picking up Fifa 19 when it releases this week? Let us know in the comments below. Follow us on Facebook, Twitter, and Instagram to find out about our latest deals!